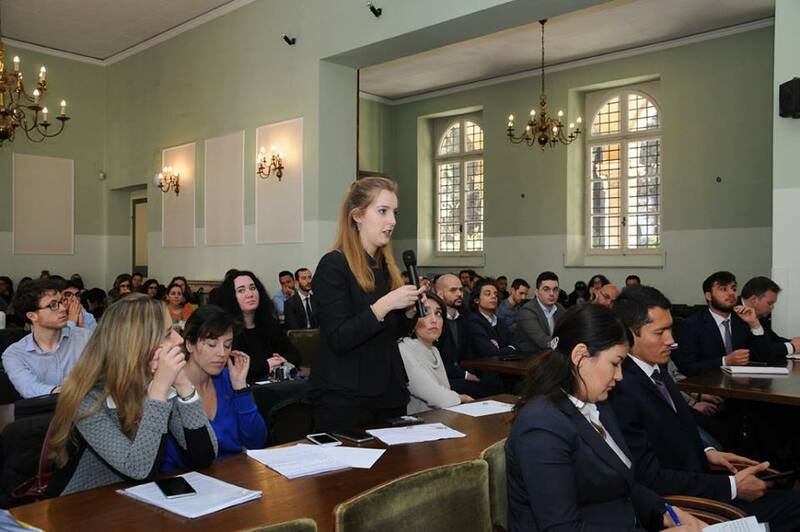 NUR-SULTAN – Kazakh Deputy Foreign Minister Roman Vassilenko briefed professors and students at the March 28 lecture at the Italian Society for International Organisations (SIOI) in Rome on ways Kazakhstan is working on deeper cooperation among Central Asian states. President of SIOI and the former Italian Foreign Minister Franco Frattini introduced Vassilenko noting the role Kazakhstan has been playing in the region and beyond by hosting the OSCE summit in Astana and the talks on the Syrian peace settlement under the so-called Astana Process. Roman Vassilenko (L) and Franco Frattini (C). Photo credit: Kazakh Ministry of Foreign Affairs. Vassilenko’s lecture was titled “Central Asia and the Regional Stability: The Strategic Role of Kazakhstan.” In it, he noted that as a non-permanent member of the UN Security Council (UNSC) in 2017-2018, Kazakhstan promoted the common interests of Central Asian states and advanced issues important to the region. “As the ninth largest country in the world and the largest economy in Central Asia, we generate 60 percent of the region’s GDP. We take great interest in the stable and prosperous development of our nearest neighbours, the strengthening of mutual trust, and recognition of common interests. We firmly believe that regional security can only be achieved when every country is politically, economically and socially stable and prosperous,” Vassilenko said. He noted the expansion of positive regional relations, including recent multilateral events, such as the first consultative meeting of the leaders of the Central Asian states held in March 2018 in Astana (recently renamed Nur-Sultan), the fifth Summit of the Caspian Littoral States held last summer in Aktau and the Summit of the Heads of Founding States of the International Fund for the Salvation of the Aral Sea (IFAS) last August. “We are proud of the recent progress which has been made and the significant expansion of cooperation in the areas of trade and commerce as well as greater interactions among citizens,” he said. Vassilenko added that, unlike for many countries in Europe, many forecasts for Central Asia predict rapid population expansion in all five nations. “The combined population of Central Asia is expected to boom from 60 million people today to 90 million people by 2030,” Vassilenko explained as he noted the importance of cooperation with outside partners, such as the European Union, in addressing the challenges associated with such rapid population growth. The European Union is the largest trading partner and the largest investor in Kazakhstan, as well as for several other countries in Central Asia. Its strategy for the region, first adopted in 2007, has served as a wide-ranging platform for cooperation on matters such as the rule of law, education and the environment. In his remarks, Vassilenko also focused on the fight against terrorism and the commitment of the Central Asian states to combat terrorism nationally, regionally and globally. “Kazakhstan calls on all countries to adopt within the UN of the Code of Conduct to reinvigorate our collective commitments to end terrorism by 2045, the UN’s centenary. 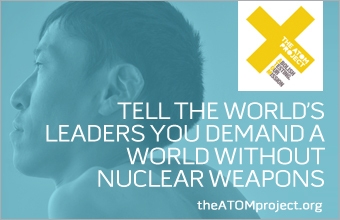 We hope we can count on the support of the UN Security Council and all UN member states to advocate for this worthy cause. As of today, 78 countries have signed the Code of Conduct initiated by Kazakhstan and personally by (former) President Nursultan Nazarbayev,” he said. During Kazakhstan’s membership on the UNSC, the country used that platform to promote the interests of Central Asian nations, including Afghanistan. Kazakhstan also organised the first visit in seven years by Security Council members to Afghanistan. This gave UNSC members an opportunity to see the situation on the ground and meet with Afghan leaders, business representatives and NGOs. Vassilenko also told the students the Astana International Financial Centre (AIFC) and Kazakhstan’s accession to the Organisation for Economic Cooperation and Development (OECD) are significant not only for his country, but for the region. Concluding the lecture, Vassilenko noted the friendly relations between Kazakhstan and Italy. “We are going to celebrate the 27th anniversary of the establishment of diplomatic relations this August. Today, Kazakhstan and Italy continue to develop a robust political dialogue, engage across a range of multifaceted economic and cultural areas, and continue to build contacts at the interregional level. We have established trusting relationships thanks to our joint work across many international organisations such as the UN, the Organisation for Security and Cooperation in Europe and others,” he stressed. According to Vassilenko, the two countries share similar positions on key international issues. Italy is also Kazakhstan’s second largest trading partner, ranking first among E.U. countries in terms of foreign trade and is one of the largest investors in the Kazakh economy. “I want to emphasise the positive experience of Italian investments in Kazakhstan. Today, there are 164 joint ventures with Italian participation in Kazakhstan across a range of key sectors. There are successfully implemented investment projects in mechanical engineering, light industry, construction, mining and metallurgy,” the diplomat said. 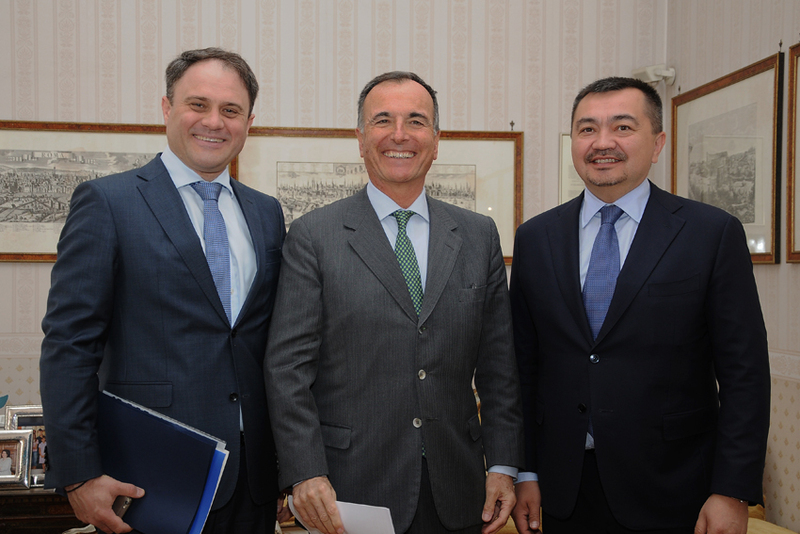 According to the Kazakh Ministry of Foreign Affairs, while in Rome, Vassilenko also met with the Italian lawmakers, including Ettore Rosato, vice chairman of the Chamber of Deputies, and Edmondo Cirielli, quaestor of the Chamber of Deputies. 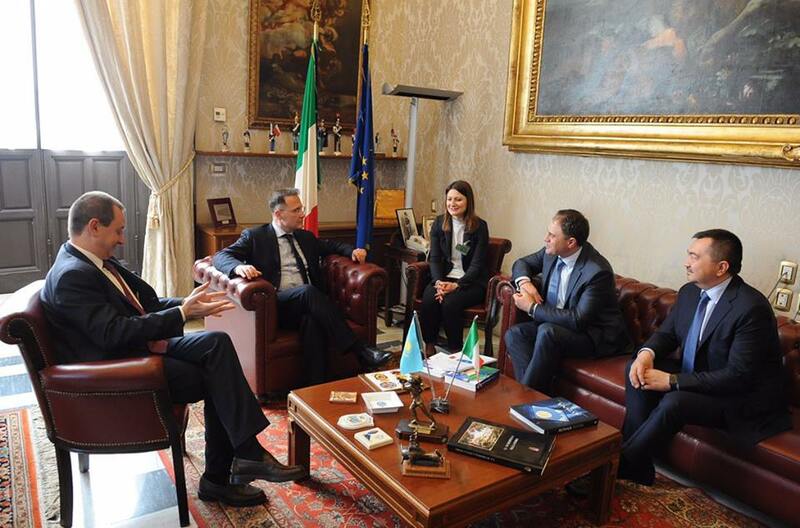 Italian deputies assured of their intention to ensure the speediest ratification of the Enhanced Partnership and Cooperation Agreement between Kazakhstan and the European Union and its member states, the foreign ministry noted in a press release. As of today, 27 out of 28 EU member states have ratified the agreement, with only Italy remaining to do so. Once the agreement, which now is in force provisionally and partially, fully enters into force, it will cover 29 areas of cooperation ranging from trade to public procurement to fighting crime to people’s mobility.